1) I felt as if I was CONSTANTLY changing centers and having to search for new ones. 2) When centers were “assigned,” lower kids had trouble keeping up and finishing in their allotted “time slot.” Either that or my high kids finished in no time and got bored. 3) The quality of work that students completed was substandard. After being exposed to Balanced Literacy and the “menu” center system during my fifth year of teaching by my mentor and literacy trainer, Julie Winchester, I decided to give it my own spin and give it a try with my first graders. I’m now in my tenth year of teaching AND I’VE NEVER LOOKED BACK!! 1) Centers stay the same but TOPICS within each center change. 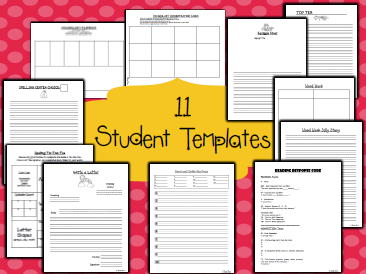 This sets students up to be engaged and SUCCESSFUL because they know and practice the formats on a regular basis! 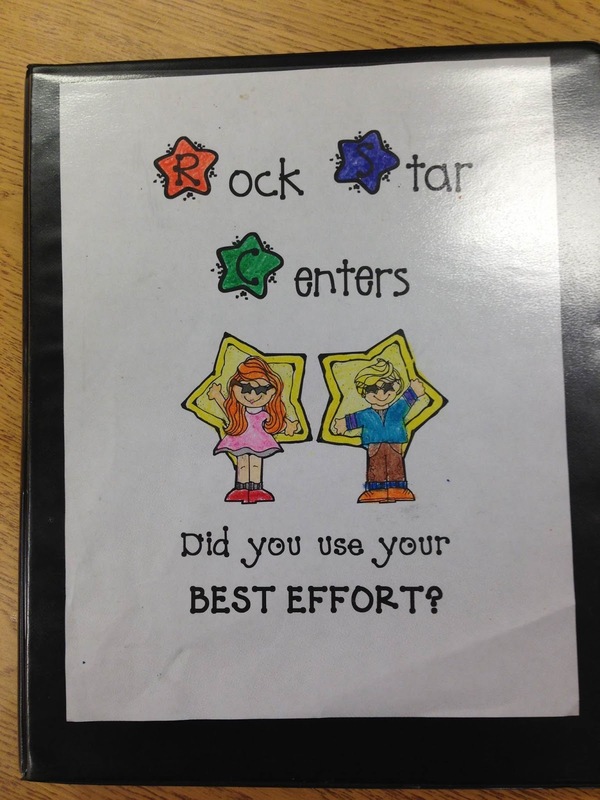 2) Students complete the centers AT THEIR OWN PACE and in WHATEVER ORDER THEY CHOOSE! Say what?!! 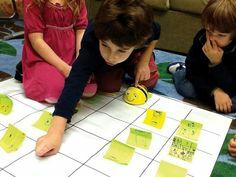 It works beautifully…Since there is a variety of choices, your lower kids can take as much time as they need and higher kids can complete as many as they choose. 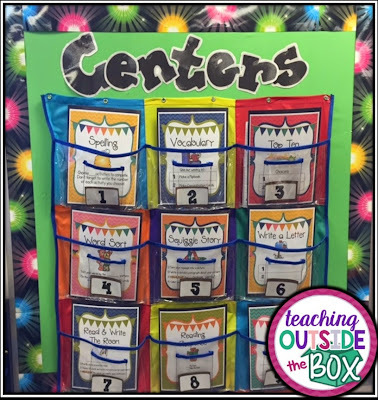 3) Most centers are open-ended, so students can take it as far as they’d like. 4) Since there are two options provided per center, each one can be completed twice. 5) Centers need to be changed every 3-4 WEEKS as opposed to every 1-2 weeks! This is my favorite part of this system because it makes teacher management a snap. 6) Centers are graded as a whole (according to rubric) instead of individually. 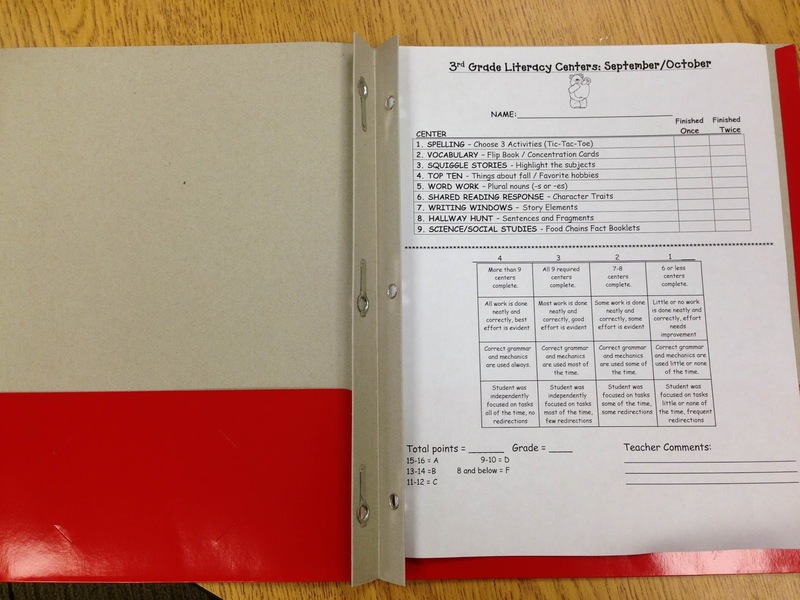 I showcase “example centers” for kids’ best quality work inside this binder in page protectors and try to add several centers each month. 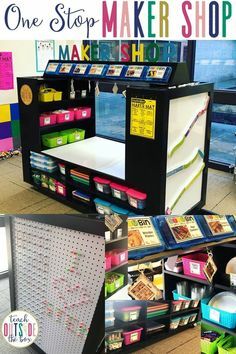 If you’re interested in purchasing one of my center systems for Kindergarten, first, second, third, fourth, or fifth grade, visit my following links to purchase from my TpT store! 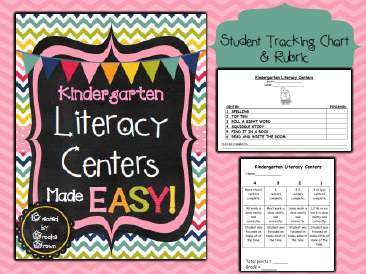 Kindergarten Literacy Centers Made EASY! 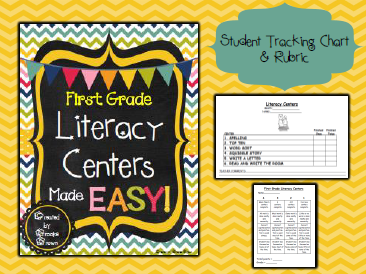 First Grade Literacy Centers Made EASY! 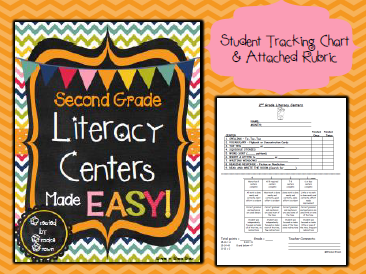 Second Grade Literacy Centers Made EASY! 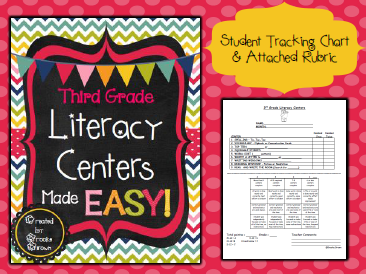 Third Grade Literacy Centers Made EASY! 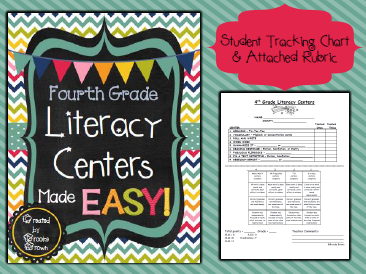 Fourth Grade Literacy Centers Made EASY! 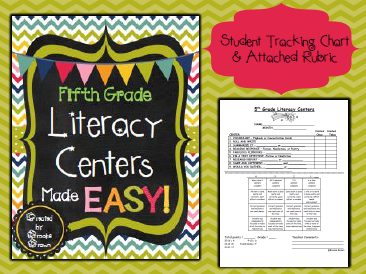 Fifth Grade Literacy Centers Made EASY! This looks like a great centers I would love to see more. There is a good chance I will be going back to first grade after teaching kindergarten. This looks awesome! I would like to purchase, but I have only one concern. Does your administration mind that the students aren’t working together, learning from each other, collaborating on or practicing good conversation/”discussion” techniques during this allotted time. I would love to try this because centers just never works for ALL the reasons you listed above, but I could see this being an issue with or a concern with admin. You only use this for early finishers? No, I do not use Literacy Centers for early finishers. They are are for all students during Guided Reading time. 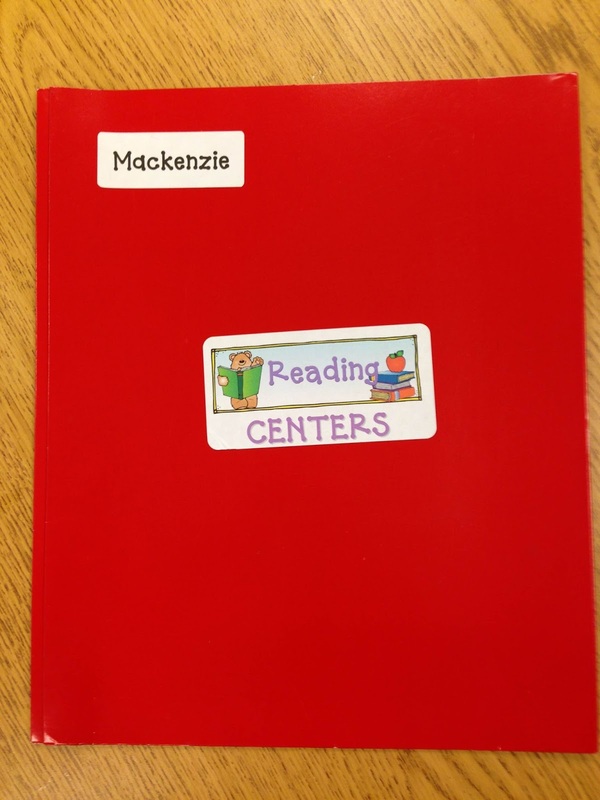 Hi Brooke, your centers do not have to be changed weekly but what about spelling , word sort and vocabulary. These do change for me every week. How will that work. Would I just have to change those worksheets with the current spelling? Hi Brook. 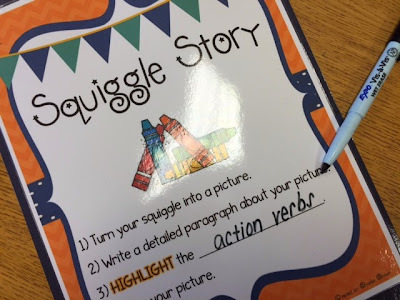 I teach second grade and use the Daily 5. Do you think I could incorporate some of these senders into my rounds? 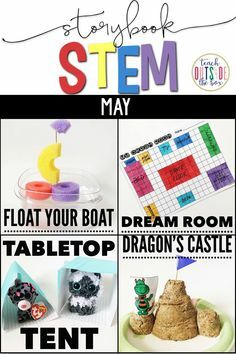 Hi, This will work well with my class next year. I will have students with disabilities in my class and I believe that this will help meeting their needs and challenging my advanced students. Have you used a similar system for math? 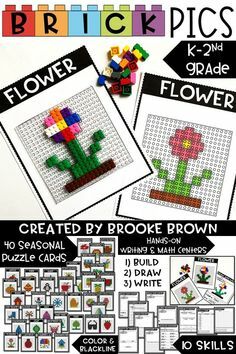 I teach third grade and came across your blog. I LOVE your center ideas. 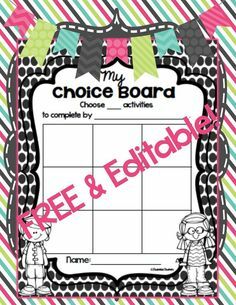 One question: Do you use a visual chart for students to note their choice/choices for the day? Thanks for the wonderful ideas. 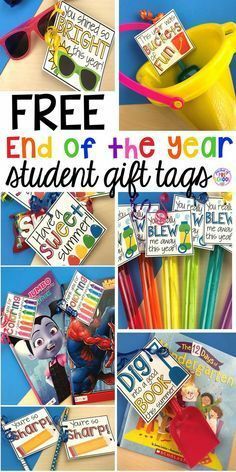 I look forward to using them with my third graders next year! 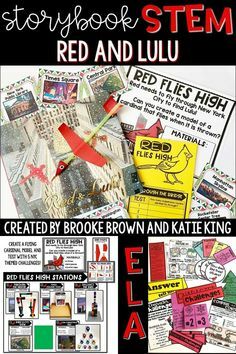 In regard to your pocket chart for Teacher time, centers, and background reading-do you have something on TPT that can be used for the rotations/organization? I use something similar for Math but I have a board that is set up so groups know where they should be during the 4 rotations. I sure don’t, but I’ll keep my eye out for some resources that might help you! 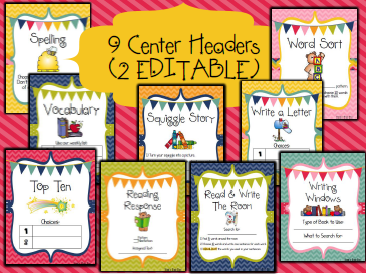 I left a comment back in June about these awesome centers! Do you have an editable version of the center names? Thanks again!